If you’ve have cash to spend, now’s a great time to be looking for a double barrel shotgun. There are more fine side-by-sides and over-unders on the market right now than ever before. Of these, this W.W. Greener 28 gauge, best quality side by side is on of the very best. Even though W.W. Greener built their reputation on boxlocks, they’ve always made top-quality sidelocks. This 28 gauge represents the new generation of those best-quality Greener shotguns. 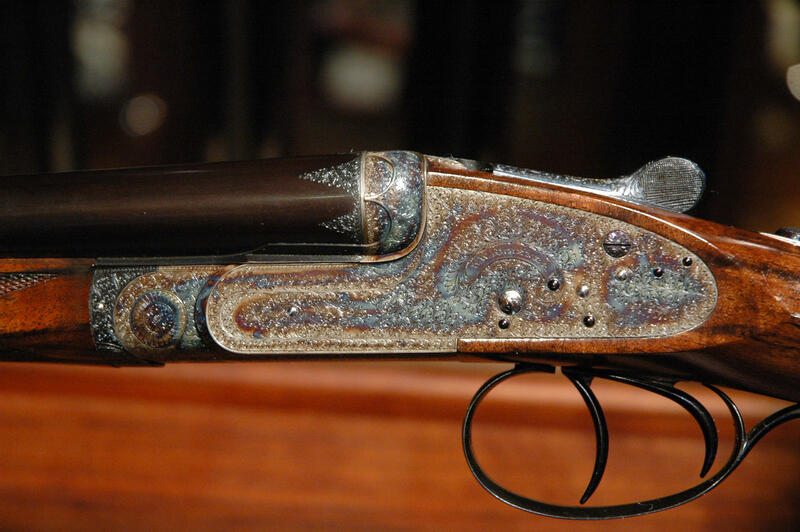 It was made in the last 15 years by the gunmaking team of David Dryhurst and Richard Tandy. It’s right up there with the finest double barrels the company has ever produced. Right now, W.W. Greener has closed the books on new orders. So if you want one of these new sidelock, you’ll have to pick one up on the used market. To date, I’ve only seen two on the market: this 28 gauge and a 16 gauge with a Prince of Wales grip. That’s a beauty! Keep posting about these finds. It’s like having a very experienced personal shopper keeping an eye out for all of us.